This Sub Mini Toggle Switch is perfect for use as a power switch for your small robot project. 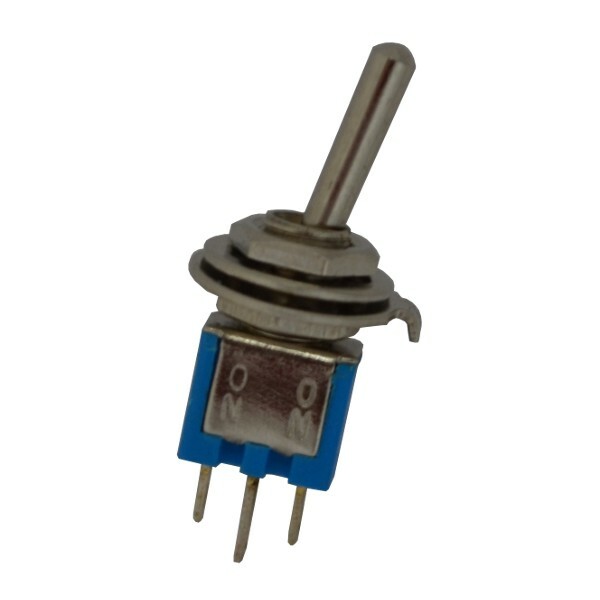 It is an SPDT Single Pole Double Throw switch that is strong enough to handle 3A at 125VAC yet small enough to be mounted on your robot’s chassis without taking up too much space or weighing it down. It is also very handy for controlling the motor power supply so that you can quickly stop your robot for going crazy when your code has a teeny tiny bug in it. Of course, you can use these toggle switches for many other purposes too such as selecting runtime options like slow/fast or hide/seek.